$2.89 to $8.99 & FREE Shipping on orders over $59 $35. This dual purpose hop is a high alpha varietal with a neutral bitterness and intense aroma. Floral and citrus notes come out in both aroma and flavor, but can be very pungent, which makes Columbus great for late additions to a boil or dry-hopping. Columbus is a perfect choice for IPAs, Pale and Imperial Ales. Also referred to as Tomahawk, Zeus, or CTZ. 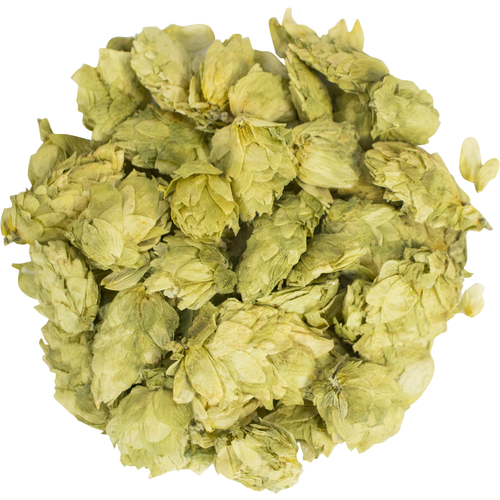 Whole cone hops are typically the preffered format for dry hopping as they maintain contact with the beer by floating, they are easier to remove than pellets and they add a unique character to the beer. Adding whole cone hops directly to the mash tun is also a great way to add some extra hop flavor and to clarify your wort as it filters through the flowers. LOVE Columbus Hops, whole cone for dry hopping is excellent!! !